Lauren Webster collaborated with Australian design label Into The Fold on a collection of pieces for the home. 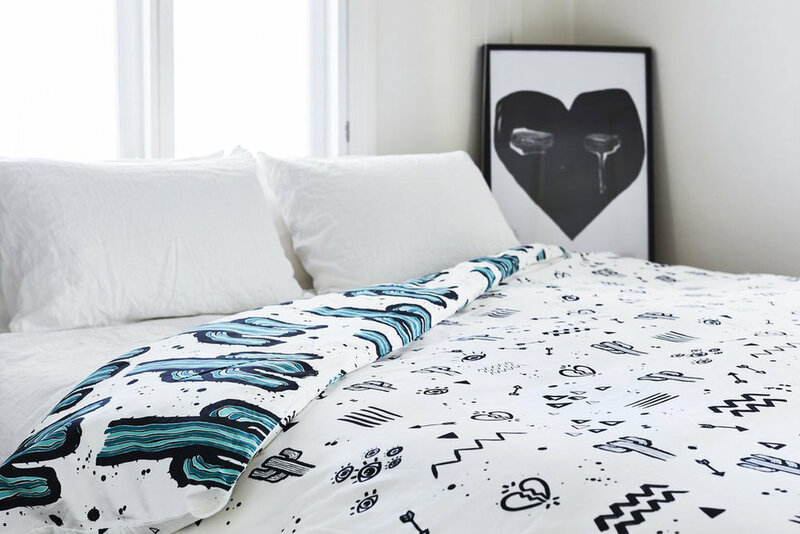 The collaboration brought to life a range of bed linen, feature cushions and giant indoor/outdoor ‘Floorie’ cushions, all covered with Lauren Webster’s signature style and graphic painted artworks. Designs from the Into the Fold x Lauren Webster range are available to purchase online from Into the Fold.